This year we are making special keepsake ornaments for the grandparents. My kids are at that age where they are still small, but in one more year they will be practically grown children. They still have that sweet baby-like look to them, and their hands are still so small and beg to be held. I want to remember all of that. So this year we will make some special salt dough Christmas ornaments that will keep their little hands small and baby-like forever. The fun thing about salt dough is that you can make practically anything with it. Your ornaments do not need to be plain, ordinary, or even the same shape or theme. There is a world of possibilities even when you are using a handprint or footprint as your shape. 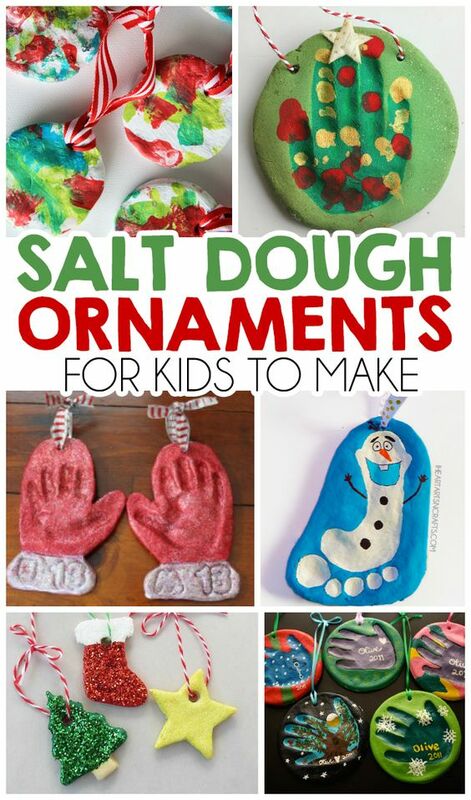 I Heart Arts n Crafts has 27 different salt dough ideas that will blow your mind. So be sure to head on over and check them all out for full tutorials. We have chosen to do Santas and Reindeers for our gifts. We cannot wait to see the joy on all of the grandparents faces this Christmas! This entry was posted in Activities and tagged arts and crafts, christmas art, christmas crafts, footprints, handprints, holiday crafts, holiday diy, holiday ornaments, I heart arts and crafts, salt dough, salt dough ornaments, the boys store on November 25, 2018 by Lacy.